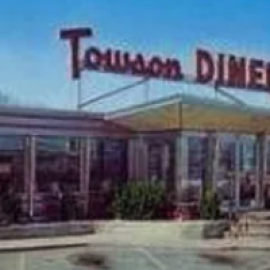 If you grew up in the Baltimore, Maryland area, you have probably heard of the Towson Diner. A staple of Towson since the 1950's, the Towson Diner has made itself a piece of everyone's family history. Family run since 1994, Father and Son, Sam and Nick Kourtsounis bought the Diner and have transformed it into the delightful, family friendly establishment in which everyone can enjoy. We use nothing but the finest ingredients in all of our cooking and baking. All of our desserts are baked on the premises.